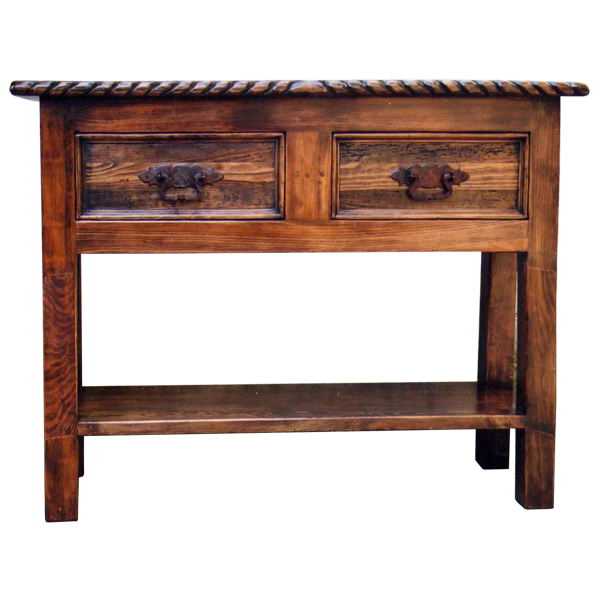 With its lovely symmetry and marvelous finish, this handcrafted, Western style console will be a wonderful addition to your home décor. 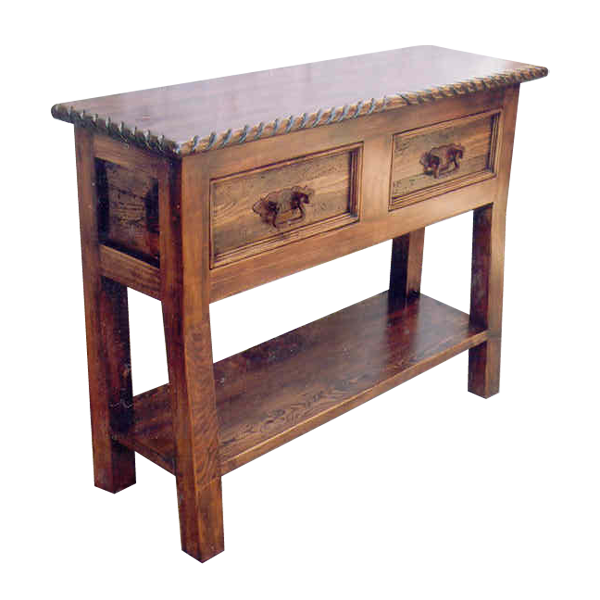 The console has an open, wide top with a classic top rim, and the top rim is embellished with a hand carved, twist rope design. Below the top rim are twin drawers, and each drawer has a rectangular cut design. Centered in each drawer is a hand forged, iron handle, and each lateral side of the console has a rectangular cut panel. The console rest on lovely, slightly splayed, square cut legs, and the legs are joined by a practical, solid wood, tray shelf. It is made with the best, sustainable, solid wood available, and the console is 100% customizable.